I have so many food reviews that I wanna share! Okay so for now it's Eighteen Chefs even though I ate it a few times some time ago. I think most people should have heard of Eighteen Chefs by now. Opened by ex-convict Benny Se Teo, it's a casual dining restaurant that hires fellow ex-convicts too in a bid to provide employment for these people and help them integrate back into society. (: It's definitely a worthy cause and a respectable one too! They serve mainly Western food with a bit of Asian too, and one good thing is that they're halal-certified! I think this is a plus point because the Muslims can eat here too! One reason why they're always packed to the brim. A second reason why they're so popular is that they serve all-day everyday student meals! 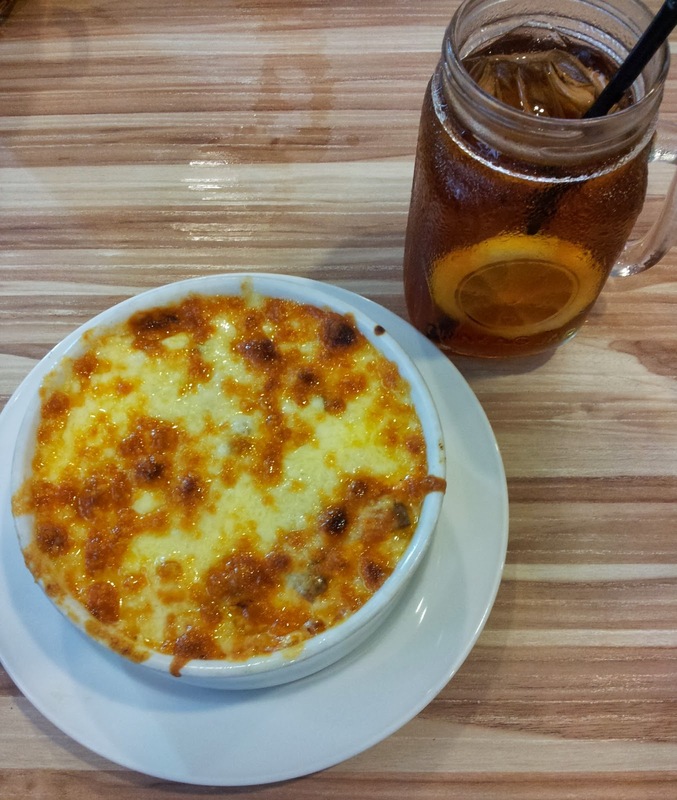 The meals comprise cheese baked rice/pasta with their homemade lemon tea and a scoop of ice cream. All that from $6.40 onwards! Isn't that a steal? And you can actually customise your main course! Step 1: Select the staple. Choice of either pasta, baked cheese rice, baked cheese pasta, double baked cheese rice or double baked cheese pasta. Step 2: Select the main ingredient. There's mushrooms, scrambled eggs, baked beans and chicken sausage (with no additional cost) while others like salmon, beef etc with an additional cost. Step 3: Select the sauce. They have many sauces ranging from spicy chilli ones to black pepper to tomato to cream sauce. The red and white sauce is actually tomato mixed with cream sauce haha. This was what I tried on my second time there. The first time I had Chicken Sausage Baked Cheese Rice with Cream sauce. Whoa that was too creamy for me! There's already a layer of cheese on the top then plus the cream sauce inside... Haha a bit of a spam for me. xD But I still like it overall. The chicken sausage was nothing fantastic. And for this, my second trip there, I tried mushrooms and red and white sauce hopefully to make it less creamy haha. And yep it feels just nice now! The pasta was the normal kind of pasta. But I really like cheese baked stuff so I'll always love my meal! The ice lemon tea was alright, though I felt it was a bit too sweet. I only tried the ice cream on my first visit cos I always feel full after eating the mains + drinking the lemon tea. It's like those Magnolia kind of ice cream so it's nothing special too. 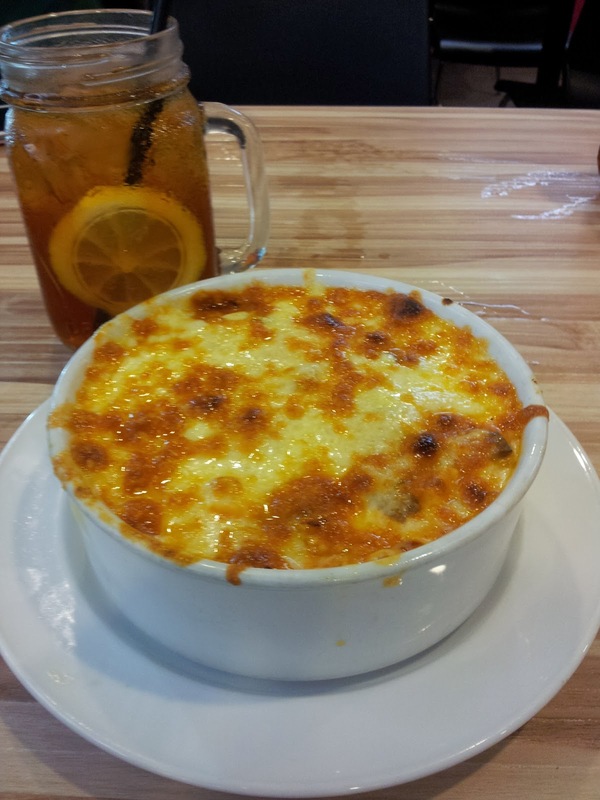 But overall I really like the food here because I love baked cheese rice hahaha! And it's really very reasonably priced for students like me! Furthermore, their outlets are mostly located right in town, so where else can you find such cheap and good food in the city centre other than Eighteen Chefs? Oh my I feel like going there to eat my baked cheese rice/pasta soon hahaha.